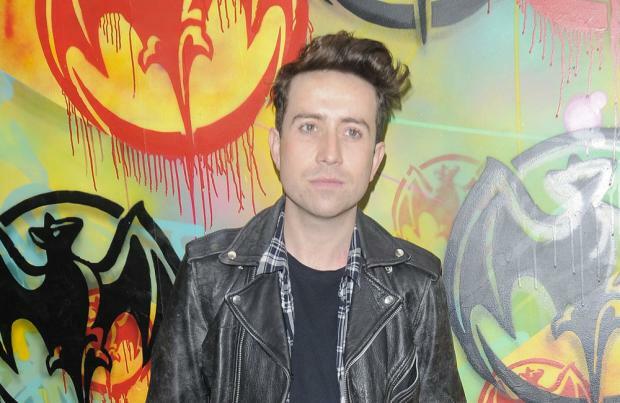 Jessie Ware has begged Nick Grimshaw to let her be his guest mentor on 'The X Factor'. The Radio 1 DJ is joining the judging panel of the talent show for the next series and during an impromptu meet up with 'Say You Love Me' singer Jessie at the Glastonbury Festival she quickly cornered him to offer her services for the Judges' Houses stage of the competition when Nick will have to settle on his finalists for the live shows. He said: "I saw Jesse Ware, who might well be my favourite person in the world, I love her, I absolutely love her, she's amazing. So I met her and she said, 'Oh my god I've got to be on the Judges' Houses - where are we going!?' Like she wants the job already and I think she's super-talented, she's really funny, it's just whether or not she can fit it in." Nick, 30, has been preparing for his new job on the panel - on which he will sit with singers Rita Ora and Cheryl Fernandez-Versini and show creator Simon Cowell - by asking stars of the music industry what it takes to rise to the top of the game. He explained: "From speaking to Rudimental about what it takes to be the best, it's the drive and how hard they work every single day. It's not like, 'Oh I'll do a little bit now.' You can get out of it what you put in but it's hard. If you are kind of not that bothered then you shouldn't really do it." Nick doesn't want to be a nasty judge to the contestants but he insists he will be honest about their singing talents. Speaking at a press conference for new MTV show 'Relentless Ultra Presents Soundchain', he said: "Obviously I'll be myself and I think I'll be nice when I need to be nice. I don't think I'd ever be mean to anybody because I feel like it must be so terrifying and nerve racking to get up on that stage and do an audition, so I'd never be mean, but I think I'll be honest. "You can say, 'This is the wrong career for you.' If you can't sing, there's no point telling someone, 'Oh you're quite good.' I think if they're not going to win it or you can't see them in the final then there's no point in them going any further." The first episode of 'Relentless Ultra Presents Soundchain' will air on MTV tonight (03.07.15) at 11pm and sees Nick interview Florence Welch.